On more occasions than I’d like to admit, I ditch the healthy foods to chow on deliciously deep-fried potatoes. 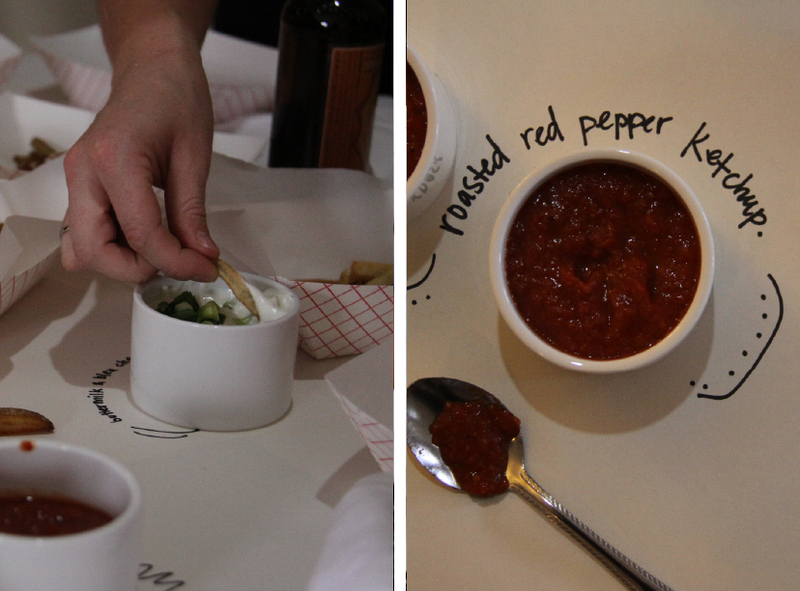 Made more delightful (and unhealthy) by the accompanying dipping sauces; it’s such an indulgence. 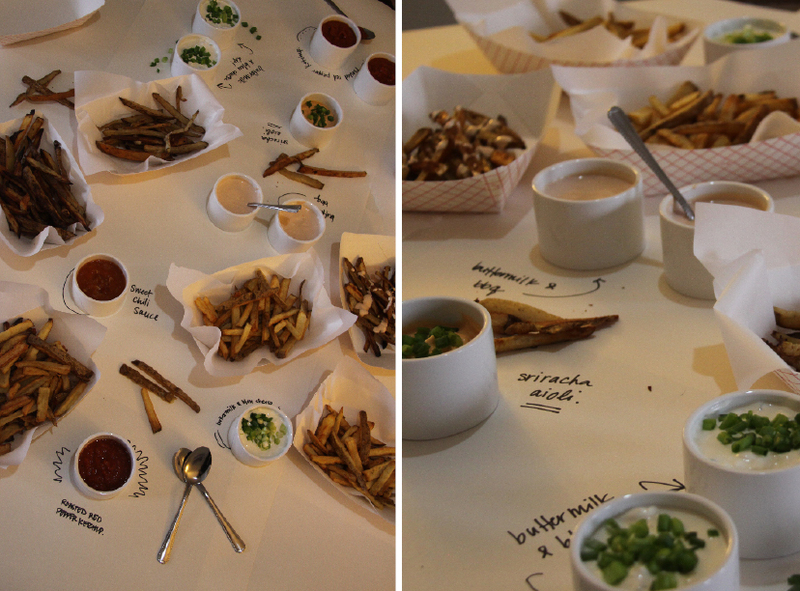 Skipping the wine and cheese type of soiree, a few girlfriends and I went right for the fried food and beer. We’re a real classy bunch. 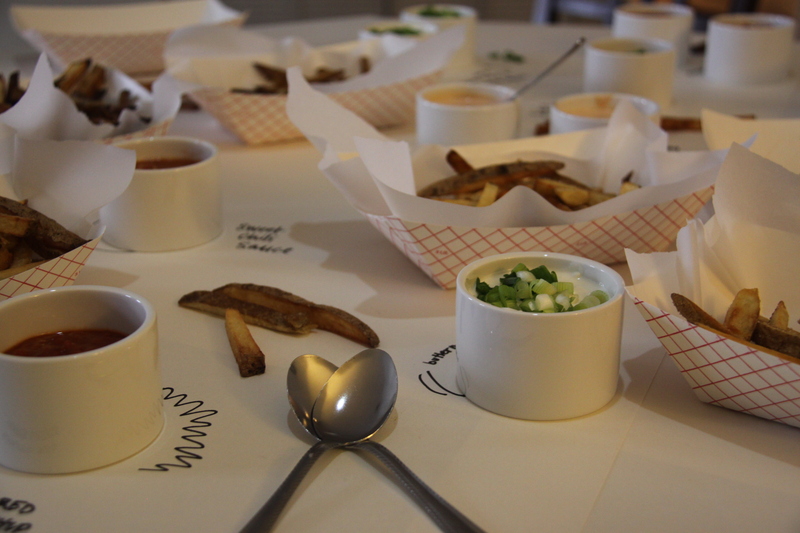 All credit for the fries (both beer & baked) and the dipping sauces go to Lisa & Katherine – they were rocking in that kitchen! 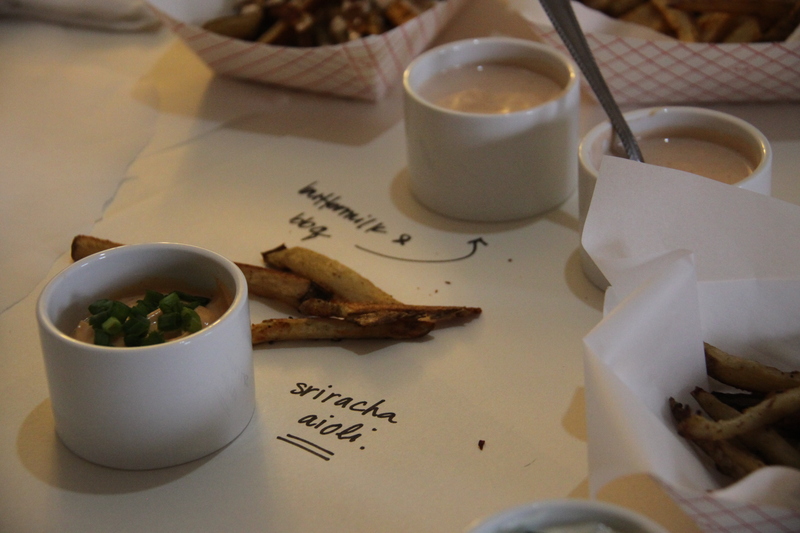 The sauces were: Roasted Red Pepper Ketchup, Sriracha Aioli (Sriracha + mayonnaise), Buttermilk & BBQ, Buttermilk & Bleu Cheese, & a Sweet Chili Sauce. 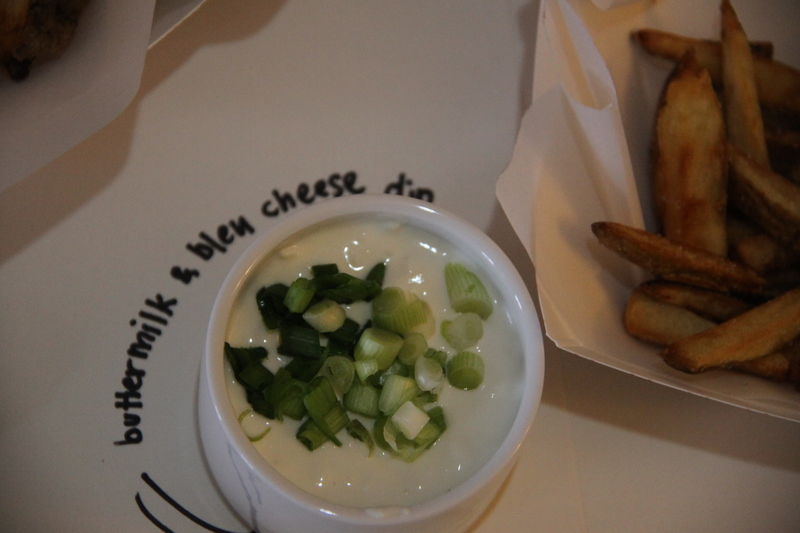 Whats your favorite fry dipping indulgence?